You know when Grammy-Winner Mick Guzauski likes a plug-in, it's probably pretty good. And now there's even more for Mick to like. Antelope have just released an update to the Orion32 HD and Golitah HD that includes 3 new FPGA FX. The new compressors include the FET-A78, BA-6A and SMT-100A. These new compressors are currently available for Orion32 HD and Goliath HD, but will be coming soon to the full line of Antelope Audio Interfaces. Interested in seeing how Mick Guzauski uses Antelope Plugins? 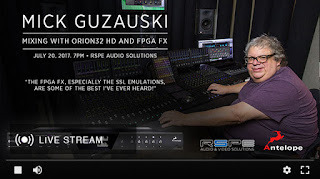 Watch the live stream from our event "Mick Guzauski Mixing With Antelope Orion32 HD and FPGA FX"
BA-6A is following the original simple, beautiful and effective design of a 1950s legendary limiting amplifier. It was originally created for TV and radio broadcasting purposes, but was quickly adopted by many recording engineers because it was easy to use and sounded so great. Even today the BA-6A not only holds up, but is still sought after and used in various pro studio facilities across the globe. Allowing three-stage amplification with a moderate drive, hard knee, fast attack and medium release, BA-6A has a balanced and vintage sound. 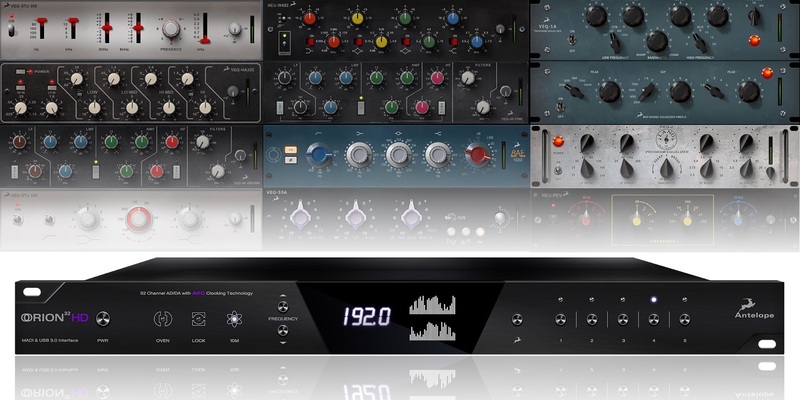 It can help you tame the most aggressive and peaking instruments or the wildest mixes without losing any of the music’s punch. Without a doubt a 1980s classic SMT-100A is one of the easiest compressor effects to get used to working with. But this ease of use doesn’t come at the cost of effectiveness and sound. For over 30 years now this unit has been preferred by top pros for its fast attack times, which can do a great job to vocals, drums and punchy bass. In the FPGA domain we’ve made sure to preserve the special sound of the SMT-100A and its simplistic design and control set so you can focus on the sound you want to get, meaning the smooth touch of vacuum tubes, without getting too geeky technically to master this 80s legend. If you need some good, punchy and classic-style compression the FET-A78 is definitely among your top choices. It’s sound can be found on a huge number of your favorite pop and rock records, this one acts great when processing instruments individually. It’s incredibly flexible so don’t hesitate to treat drums, guitars or vocals with it. FET-A78 also doesn’t disappoint when added over a group of instruments, such as backing vox, overheads or crazy synth lines or sound design. You can use it in stereo mode or even apply it on overly dynamic bass lines so they finally behave themselves in the mix.